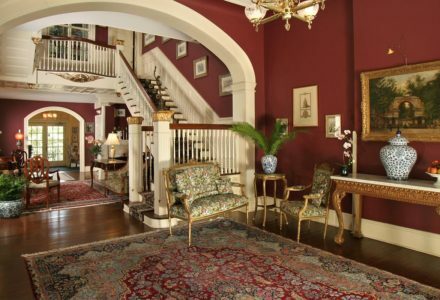 We look forward to having you at our San Antonio bed and breakfasts. 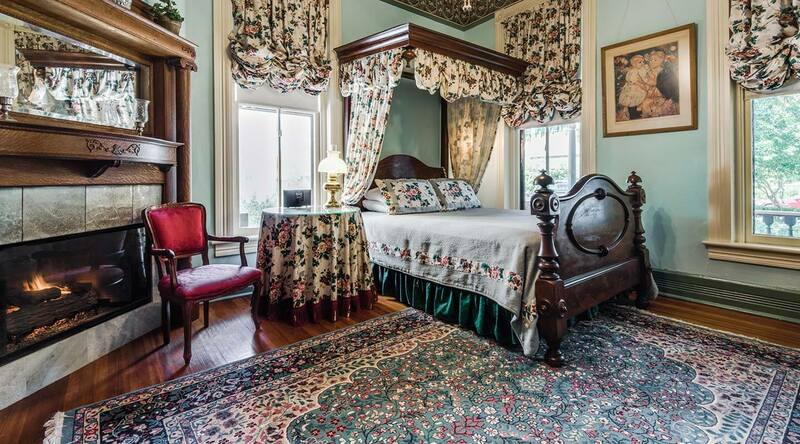 The Noble Inns are three beautiful Bed and Breakfasts in the downtown King William Historic District. 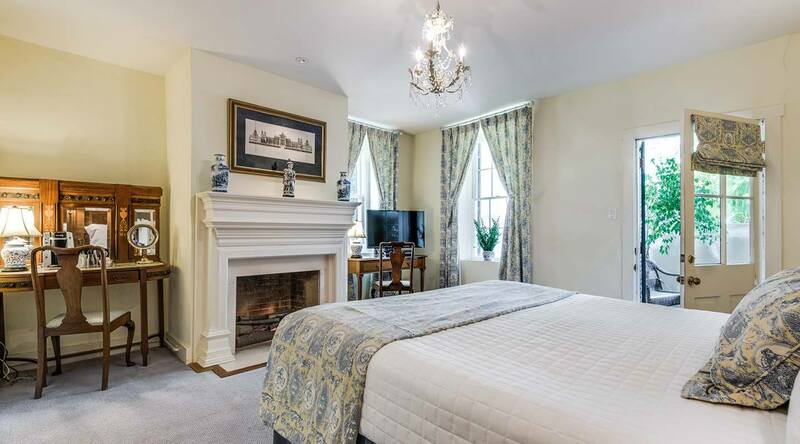 The stately Oge House overlooks the famous Riverwalk; the Jackson House boasts Victorian elegance; and the Carriage House is the most secluded, and appropriate for families. Whichever house you choose, we will welcome you with true South Texas hospitality. 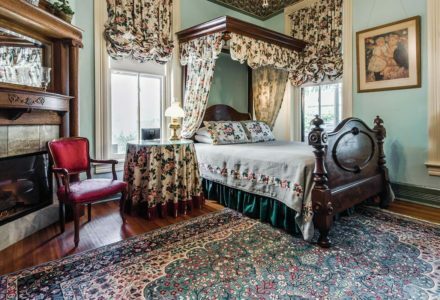 At Noble Inns, you have a choice between three beautiful San Antonio Bed and Breakfasts in the downtown King William Historic District. 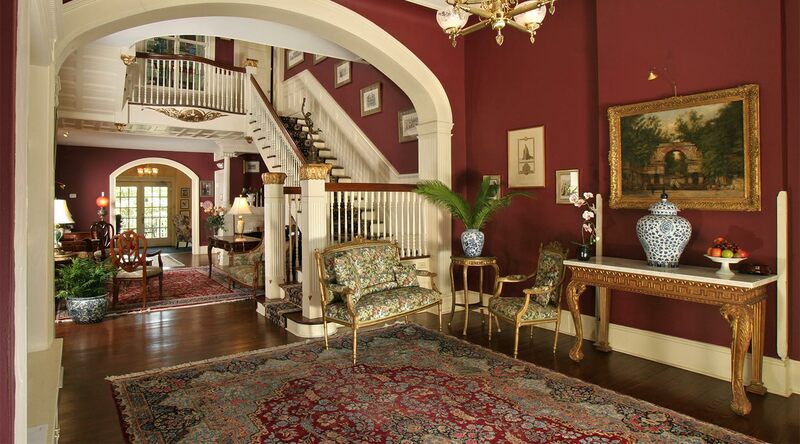 The stately Oge House was built in 1857 and is a magnificent example of antebellum neoclassical architecture. It sits on 1.5 lush acres and overlooks the famous Riverwalk. 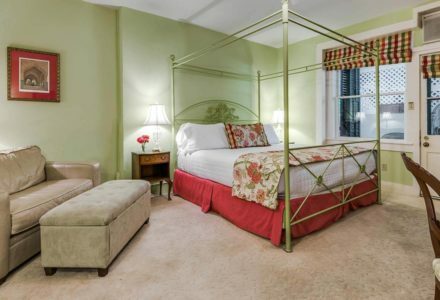 All guestrooms have private baths, period antiques, luxurious linens, flat-screen cable TVs, and high-speed WiFi. The elegant Jackson House is an exquisite Victorian built in 1894, and listed on the National Register of Historic Places. The conservatory, with its heated spa pool and antique stained-glass windows imported from England is a particular favorite among guests. 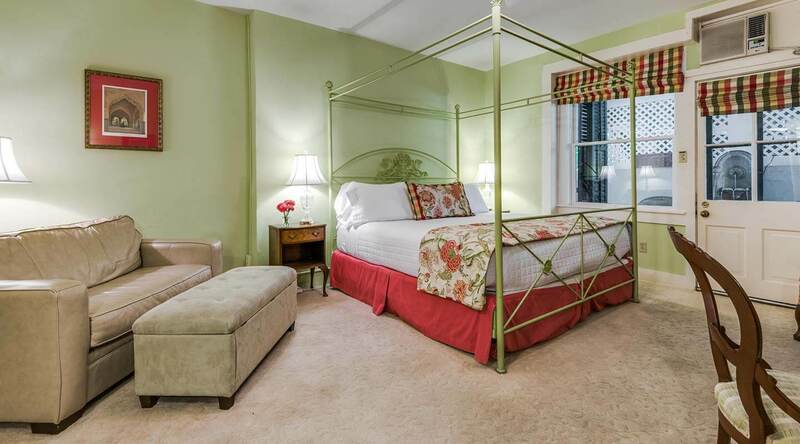 All guestrooms have private marble baths, period antiques, luxurious linens, cable TV with HBO, and high-speed WiFi. 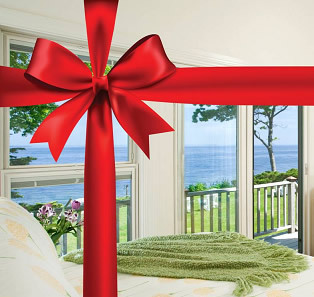 Finally, the Carriage House is the most secluded, and is great for honeymoons or small reunions. The house sits peacefully under a pecan tree planted in 1900, and is also on the National Register of Historic Places. 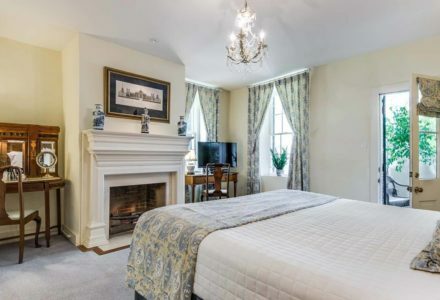 The three large suites, which can be rented separately or together, all have private marble baths, gas fireplaces with antique mantelpieces, period antiques, luxurious linens, cable TV with HBO, and high-speed WiFi. Whichever house you choose, we will welcome you with true South Texas hospitality. We look forward to your visit! Children Policies: Children 16 or older accepted at the Oge House. The Jackson House and Carriage House accept youger children. Please see our website for futher details. Smoking Policies: Smoking is not permitted anywhere inside any of our buildings. Smoking is permitted outdoors only, on porches, patios or in the gardens.